Rio Tinto has completed the first phase of the major expansion of its integrated iron ore operations in the Pilbara, celebrating the milestone today with a ceremony at Cape Lambert. The Premier of Western Australia, the Hon. Colin Barnett MLA, officially opened Cape Lambert wharf B (CLB) which will help bring the overall capacity of Rio Tinto’s Pilbara iron ore operations to 290 million tonnes a year (Mt/a), the largest iron ore operation in Australia and the second largest in the world. 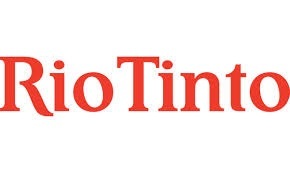 Rio Tinto Iron Ore chief executive Andrew Harding said “The 290 expansion, the largest integrated mining project in Australia, has created the opportunity for Rio Tinto to deliver superior value to shareholders and customers. It is testament to our focus on value-driven growth at our low-cost operations. “We have again demonstrated our project execution performance is second to none, delivering this expansion ahead of schedule and under budget. This disciplined approach has generated greater value through capital expenditure savings of US$400 million (100% basis), achieved mainly from our engineering and contracting strategies across this phase of the programme. The CLB system delivered first shipment in late August. The safe and efficient ramp-up schedule is on track to reach a full run-rate by the end of the first half of 2014. The phase two expansion of the port, rail and power infrastructure to 360 Mt/a is underway. A number of options for mine capacity growth are under evaluation including incremental tonnes from low-cost productivity improvements, expansion of existing mines and the potential development of new mines.